Every exhibit at JMM is a journey. Many, like last year’s Just Married!,v are journeys through time set in our own backyard here in Maryland. A few, our current exhibit Inescapable: The Life and Legacy of Harry Houdini, is an example, travel across the globe as well. But no matter how deep or how far the journey they all, following the Taoist proverb begin with a single step. Sometimes that step occurs within the walls of our museum – like finding an unusual object in our collection. Sometimes it seems to be serendipity (besheret) – for example, my encounter with magician David London while escaping the heat at Artscape. 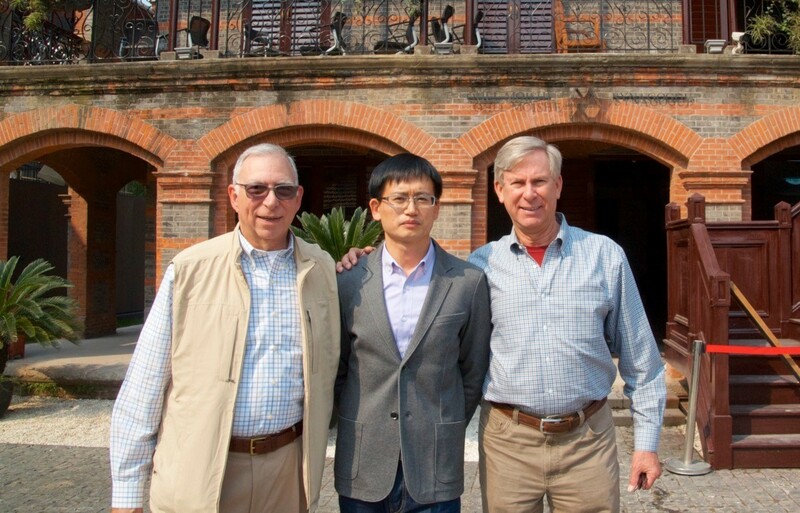 The single step that initiated our next project happened halfway around the world. Two JMM Board members (Duke Zimmerman and Abe Kronsberg) on a tour of China stepped into the former Ohel Moshe synagogue in Shanghai which has been converted into the Shanghai Jewish Refugees Museum and started a conversation with the Museum’s director James Yang. 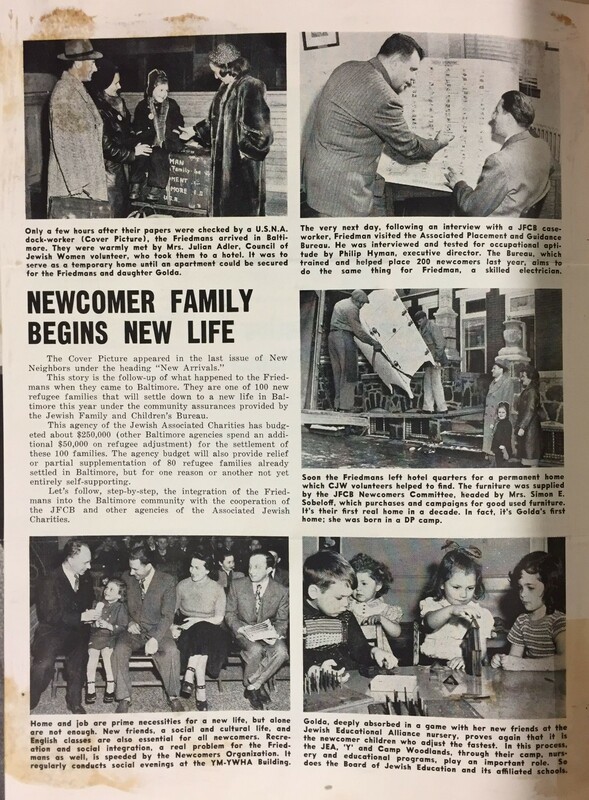 Their meeting let to an e-mail and that e-mail led to an agreement and just fourteen months later JMM will host the Maryland premiere of Jewish Refugees and Shanghai, a panel exhibition of photos and facsimiles with bilingual text in English and Mandarin. My personal interest in the Shanghai story began years ago when I read Rabbi Marvin Tokayer’s Fugu Plan, the story of the Lithuanian refugees saved by Consul Sugihara and their difficult passage across Russia to Kobe, Japan and eventually to Shanghai. 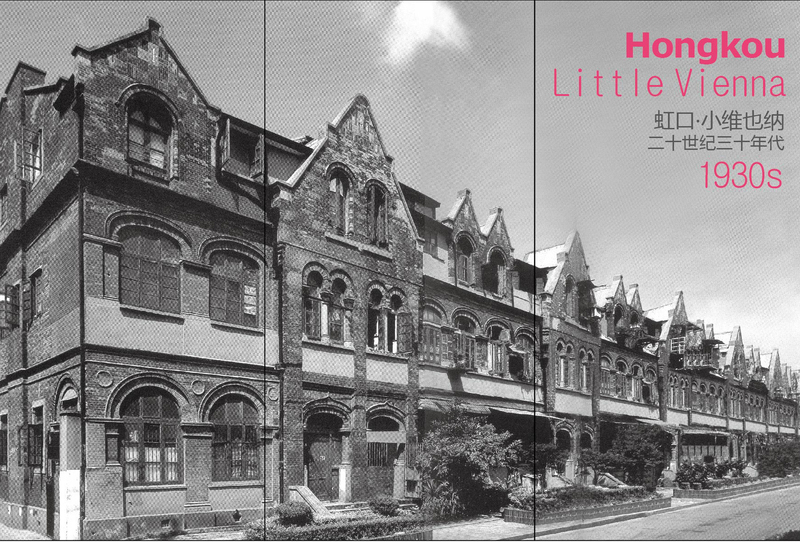 I knew that they were a small part of a much larger refugee community in Shanghai during the Holocaust, but I frankly lacked an appreciation for just how much larger (more than 20,000 Jewish residents) and how much longer (1937 to 1948) this refugee community survived. Shanghai, today by far the largest city in the world, was a relatively small town into the early 1800s. 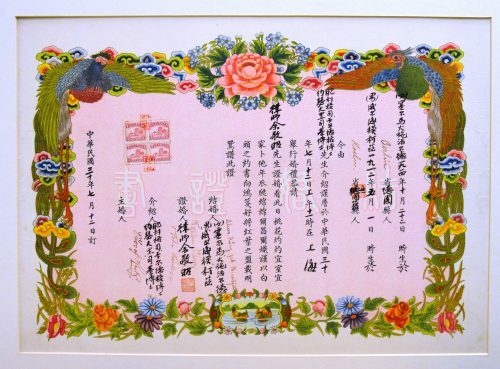 The Treaty of Nanking (1842) imposed by the British at the end of the First Opium War had the effect of making Shanghai an open port – a place where East met West. It also encouraged the first Jewish settlers here, Baghdadi merchant families, like the Sassoons and the Kadoories, who made the city a base for their East Asian operations. A second wave of Jewish settlement came between 1903 and the mid-1920s and Jews fled the pogroms of Russia and later political uncertainty of the Soviet Union for new lives in Harbin and Shanghai. 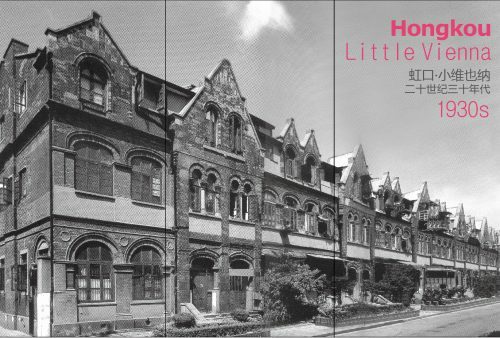 The third, and most desperate wave of immigrants began to arrive from Germany in 1937 and, after the Anschluss, from Austria in 1938, many saved by exit visas from Chinese diplomat, Dr. Ho Feng Shan.The neighborhood where they settled, Hongkou, soon acquired the nickname “Little Vienna.” By the time they arrived, Japan had already occupied much of the city outside of the International Settlement and their fate during the war would be entwined with the shifting positions of the Japanese government, consistently under pressure from its German allies to adopt harsher policies towards the Jewish community. The exhibit not only explains the history of the community as a whole, but also devotes considerable attention to individual stories, of both the famous and unheralded residents. There is a panel on the life of future US Treasury Secretary, W. Michael Blumenthal and one on artist Peter Max and his first Chinese art tutor. There are also stories of work life, weddings, and beauty contests – of help from Chinese neighbors and struggles to survive. We began conversations with our docent, Rena Rotenberg (whose husband was in Shanghai) and Yvonne Daniels who was born in that community (and has since agreed to be a speaker in an upcoming program). We also discovered a number of fundraising scripts and posters used locally in the effort to support the community both before and after the war. These conversations and materials will form the basis of a small lobby exhibit on the Jews of Shanghai and Maryland that will be a companion piece to the main exhibit during its run from February 3 through March 10. Though the exhibit is at JMM for only a short period of time, we are packing a lot of programming into these five weeks. 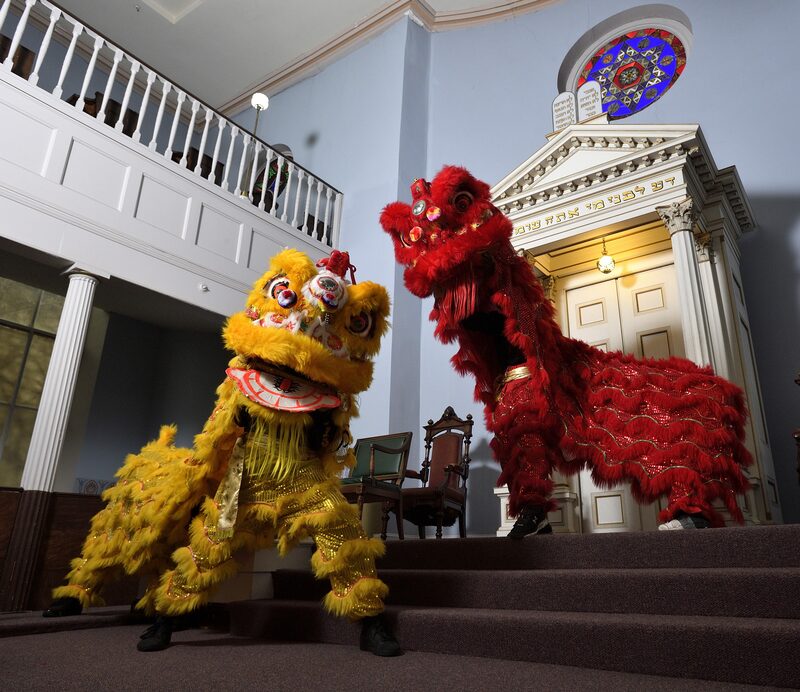 Our members-only preview, taking place on the evening of February 2nd is themed “Vienna Meets Shanghai” and features musical performances and culinary treats derived from both cultures – including a first-ever Lion Dance in the Lloyd Street Synagogue. In subsequent weeks we will feature a half dozen lectures and films related to the Jewish experience in China – including two documentaries – Above the Drowning Sea and Minyan in Kaifeng (narrated by Leonard Nimoy, this is the unusual story of a 1,000 year-old Jewish community in central China). Our Education department is also using this exhibit as a platform to expand our offerings. In conjunction with the Baltimore Jewish Council and the United States Holocaust Memorial Museum we are offering a “Winter Teacher’s Institute.” In this program, which parallels our annual summer institute, we will provide on-site and off-site workshops that will enable teachers across Maryland to incorporate the Shanghai story into their curricula. In another initiative, our educators have reached out to Chinese language programs at both the high school and college level, inviting them to take this rare opportunity to practice reading skills in Mandarin while learning about an important piece of history. Several schools and college programs have already scheduled field trips. With these initiatives we will take thousands more of our visitors on a journey – that began with a single step. *This is a loose translation of the quote which references a “1000 li”, a Chinese unit of measurement that in the sixth century BCE was actually closer to ¼ of a mile today – but it’s the same concept. A Story from the Archives: Is This Goldie? 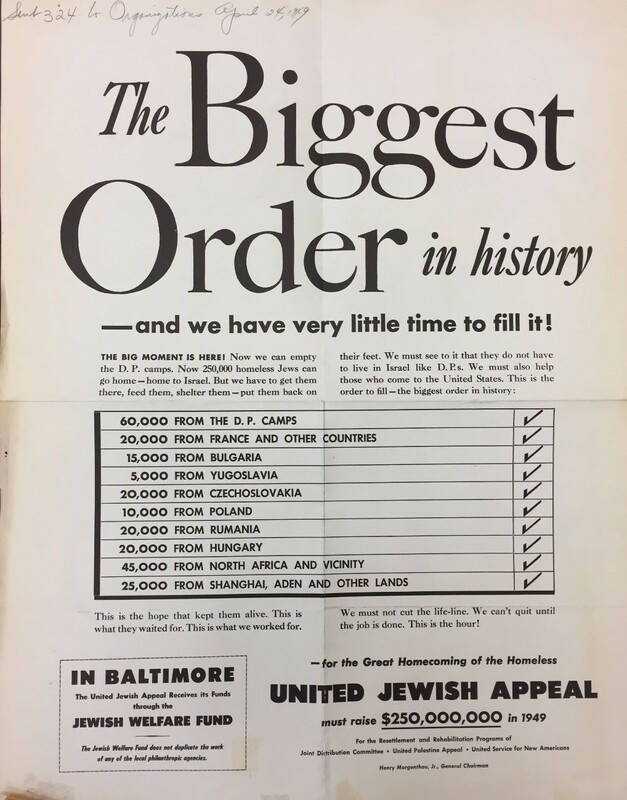 In 1948 the United Jewish Appeal, with the help of numerous international organizations assisting in moving over 240,000 displaced Jews from D.P. 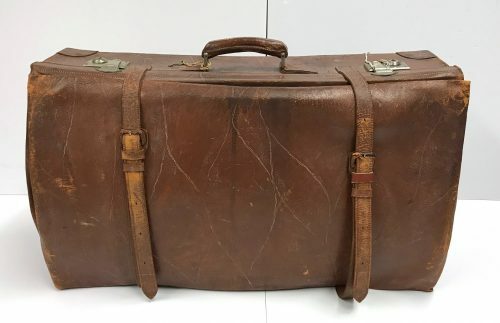 Camps, France, Bulgaria, Yugoslavia, Czechoslovakia, Poland, Romania, Hungary, North Africa, Shanghai, and other places to new lives in Israel, America, Canada, Australia and all over the world. 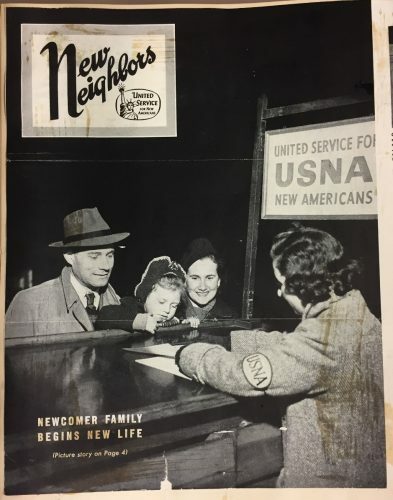 One of the vessels moving refugees was the USAT General Stewart that was originally used in 1946 to transport the troops home from Europe and Asia. 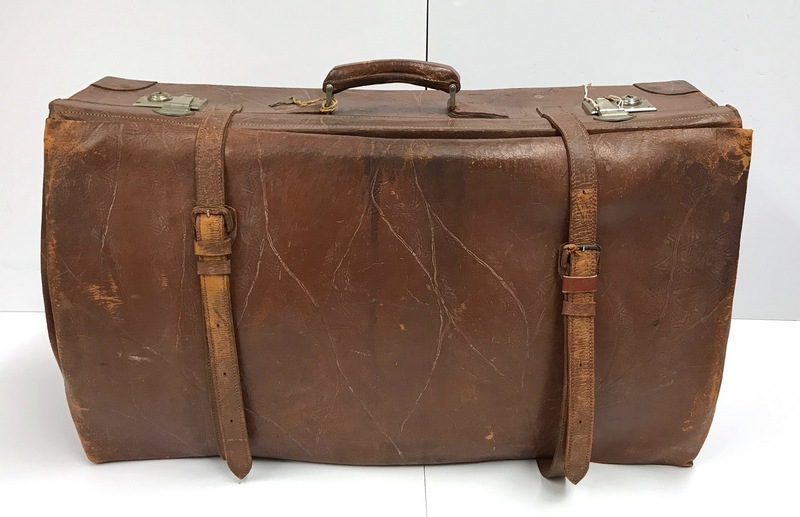 By 1950 the General Stewart was being used to transport refugees for the International Refugee Organization, traveling from Bremerhaven Germany to New York and Halifax, Novia Scotia. 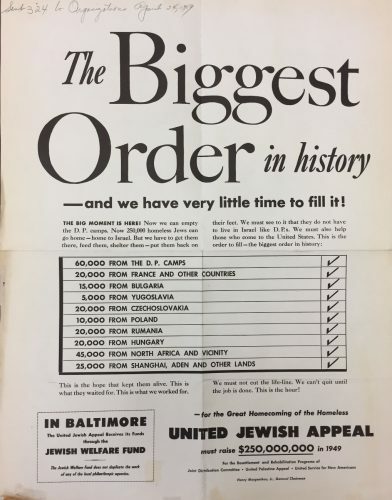 Many of these refugees fleeing to the United States and Canada were Jewish. On December 1, 1950 Abraham, Sonja and their 4-year-old daughter Goldie Friedman would board the USAT General Stewart in Germany with almost 1300 other refugees and twelve days later arrived in New York. Aaron and Sonia were the sole survivors of their families, their lives had been torn apart by the Nazi regime and after ten years of living in ghettos, concentration camps and as a displaced person they would be able to start a new life in the United States. 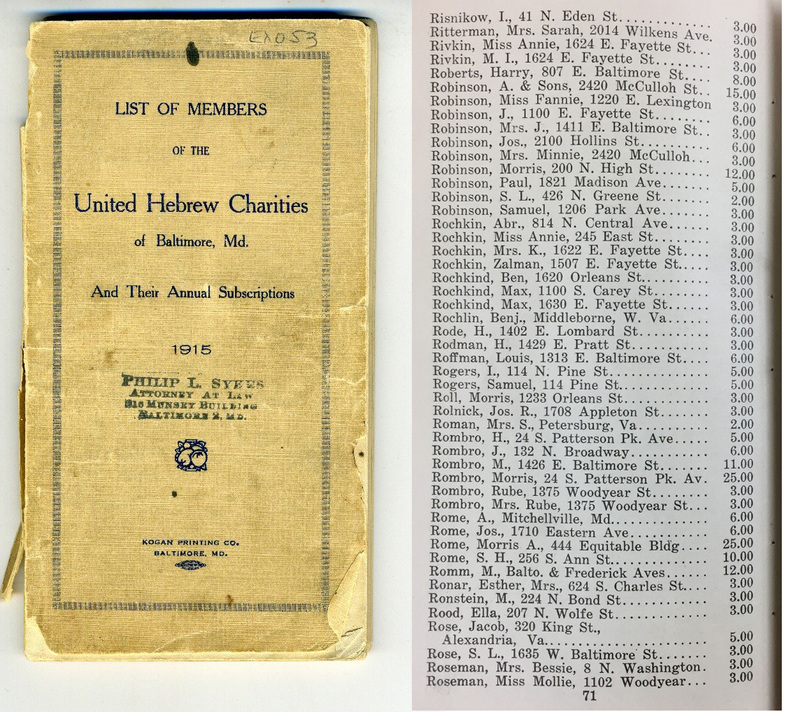 The Friedman’s were met by workers of the United Service for New Americans, part of the United Jewish Appeal, an organization that was supported by the Associated Jewish Charities and Welfare Fund in Baltimore. 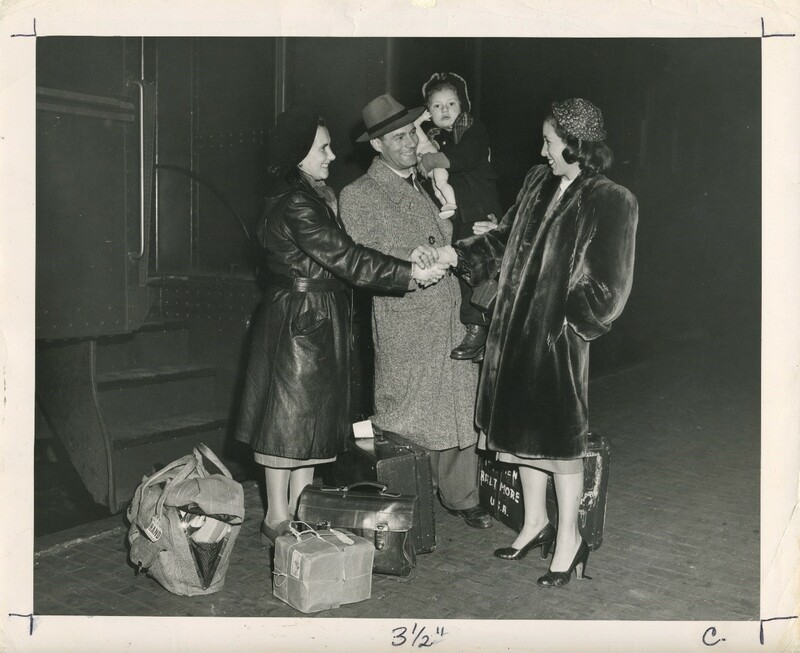 From the harbor the Friedman family boarded a train to Baltimore and were met by Mrs. Julian Adler, a representative of the Council of Jewish Women in Baltimore. Above images from the 1949 Associated Jewish Charities scrapbook. Sonia, Aaron and Goldie Friedman and Mrs. Julian Adler from the Council of Jewish Women in Baltimore, JMM 1996.063.041. I couldn’t believe it, the little girl in the article was one of my mother’s closest friends. I had grown up my whole life knowing Goldie and her family, we took family trips together, my first time at Disney was with them. I had met her father as well and remembered him as the kind and sweet grandfather of my friend. 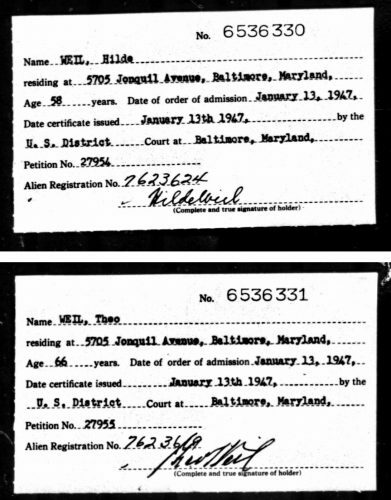 Because of this I was able to find information in our HIAS (Hebrew Immigrant Aid Society) records on Goldie’s arrival to this country and her parents’ history. 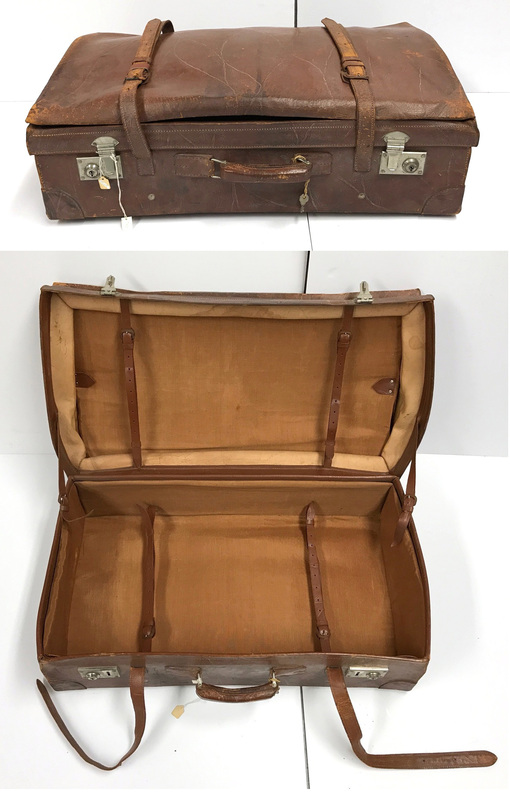 At the museum we often get to help families find information on their history, sometimes it’s hit or miss but it’s always very gratifying when we can use our collection to help someone understand their past. 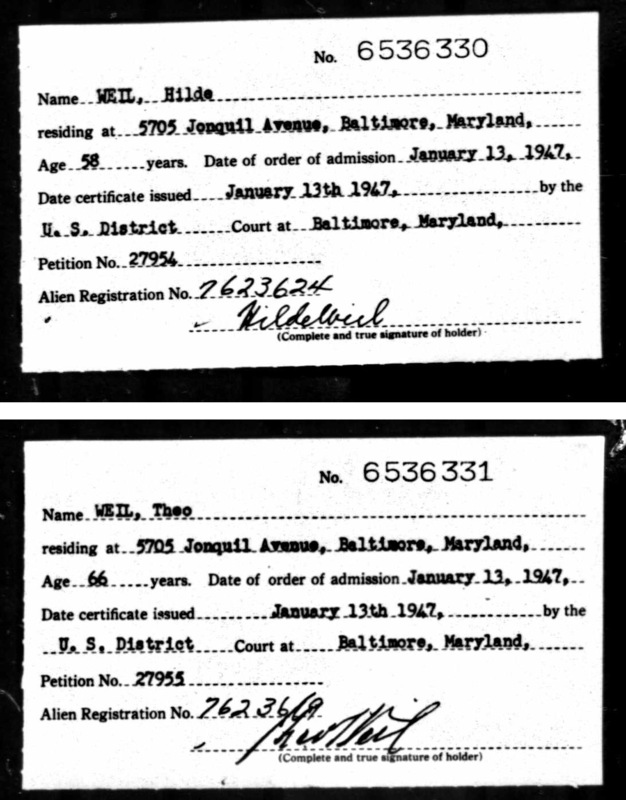 And in case you were wondering I always take a peak to look for my own history as well. 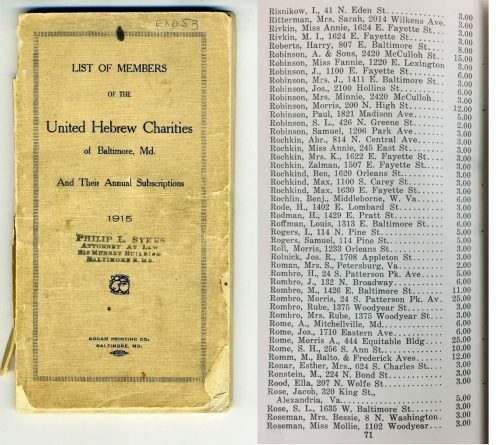 United Hebrew Charities Donor Booklet, 1915, JMM 1997.134.067.